Colorado’s state coffers are suddenly so flush with cash that lawmakers may be required to send more than $200 million back to taxpayers over the next three years. DENVER — In a stunning turn from this time a year ago, Colorado’s state coffers are suddenly so flush with cash that lawmakers may be required to send more than $200 million back to taxpayers over the next three years. For Democrats, it’s vindication for a deal struck in 2017 to exempt a state hospital fee from the state’s revenue cap — a deal that was supposed to clear out so much room under the cap that the state budget would have room to grow for years to come without sending any of it back to taxpayers. Without the new law, Colorado would have owed taxpayers significantly more. And lawmakers never would have been able to afford the sizeable investments in schools, roads and the public pension that turned the 2018 legislative session into a success for leaders in both parties. But for fiscal conservatives who opposed the maneuver, an unexpected revenue windfall generated by federal tax changes and a rebounding oil and gas sector makes last year’s spending deal even worse than they had imagined at the time. All told, the measure allowed lawmakers to spend an extra $560 million without exceeding the state revenue cap, according to new figures from Greg Sobetski, senior economist with the Colorado Legislative Council. That’s money that otherwise would have been eliminated through cuts to state hospital funding or refunds to state taxpayers. Instead, it was spent on the state’s most pressing financial issues. Rural hospitals avoided cuts, schools received a $150 million annual boost, the pension got $225 million a year and the state’s crumbling roads were given $500 million in one-time money. “I think it’s really ironic — all the people that voted against (Senate Bill 267) certainly had no problem spending all that money on transportation,” said KC Becker, the House Democratic majority leader, who sponsored the measure. The flip side is that next year, state budget writers could unexpectedly find themselves right back in the same situation they just escaped. The latest forecasts from legislative economists project the state to exceed its revenue limit each of the next two years, leaving lawmakers with more financial decisions on the horizon. A competing forecast from the Democratic governor’s office does not expect refunds next year and only $11 million worth in 2020. This is the unusual dilemma Colorado lawmakers face. Conflicting constitutional requirements to restrain taxes yet increase spending have left the state seemingly always lurching from one fiscal crisis to the next —even in good economic times. Under the state Taxpayer’s Bill of Rights, Colorado’s revenue can only grow by a formula dictated by inflation and population growth. A separate constitutional amendment also requires Colorado to spend more each year on schools. Historically, when rapid economic growth or other factors has pushed the state past that limit, lawmakers have sought to avoid refunds. 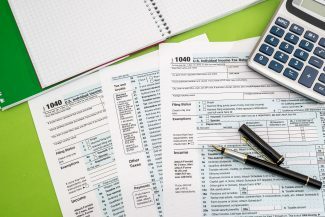 They instead chose to cut tax rates or fees or find other creative workarounds — such as exempting certain funds from the revenue-limit calculation like they did in 2017 or flat out ignoring school -finance obligations. Last year’s spending compromise also stipulated that the first refunds would pay for a property tax cut for seniors — a growing tax break now worth $150 million that has been eliminated to balance the budget in the past. With the state back at the cap so soon, some interest groups are now worried that popular programs will be targeted in the next round of cuts. Some of the biggest pots of discretionary spending left are the things lawmakers just tried to address — K-12 schools and the public pension. Bommer is worried that severance taxes on oil and gas, which reimburse local governments for the effects of drilling and mining, will be tapped to pay for refunds instead. His group backed a bill this year to ask voters to exempt severance taxes from the Taxpayer’s Bill of Rights growth limit, but it was rejected by lawmakers in both parties. To Jon Caldara, president of the fiscally conservative Independence Institute, the yearly battle to avoid refunds is an elaborate subversion of the Taxpayer’s Bill of Rights, which requires voter approval to raise taxes or to keep more money than dictated by the formula. “For me, the budget is a barrel full of whiskey,” Caldara said. “And every time all the whiskey pours in, all the revenue pours in and it looks like it’s finally going to get filled up and it looks like it’s going to spill over into my cup (as a taxpayer refund), the state opens the spigot at the bottom.